This week a guest has asked to post an article. His name is Staffan Rydin, a friend and patient of mine. You may recall in March 2010 another dear high school friend of mine also posted an article, Andermatt Consulting: Personal Development Sessions. Ruth Andermat has her unique and masterful way with life coaching, and I would highly recommend her. Staffan on the other hand has his own unique way with working with clients, and I also would highly recommend him. I liken the two as seeking out a Massage Therapist. Every therapist treats somewhat different, but all are trying to achieve the same results, homeostasis. When choosing your therapist, you want to feel comfortable with him/her, feel as if your being heard, and have a good energy between the two of you. Same goes with Personal or Professional Coaching. I give to you Staffan Rydin. Not living up to your highest potential? Wish to increase your self confidence or career satisfaction? If you answered yes to any of these questions, it may be time to enlist an Integral Coach™. Integral Coaching® provides a comprehensive holistic method and approach to bringing about change. The change can be a new way of being at work and in life or transformative work that brings about radical development. It includes both Executive Coaching and Life Coaching. We will also propose a new way forward that is both challenging and inspiring. I’ll work for you by creating specific practices and exercises to build the “muscles” or capacities for achieving the sustainable change and development you are looking for. These will be part of your unique and individual path to success in your coaching topic. We’ll meet regularly to continue to build your personal capacities, evaluate the coaching program to ensure your topic objectives are being accomplished, and re-calibrate as required. As your coach, I’ll be there to provide structure, challenge and encourage you, and to co-create and celebrate with you throughout. We are in this process together; we just have different roles. The Integral Coaching Approach: The solution for sustainable change and transformation is to build the capacities necessary to accomplish your over-arching developmental objective. My method is focused on working with you as a whole human being to ensure meaningful change is sustained. It works much like building new muscles. Once we know where you want to go and what you currently have embodied, we’ll understand which muscles to develop and which ones we can leverage. In a repeated cycle those muscles will then be stretched and exerted beyond their usual range followed by adequate rest until they have developed enough to support success in the coaching program. You might think of this as cross-training for life with focus on your mental, emotional, physical and spiritual growth. As you change and grow, you’ll also notice that the results ripple into virtually all areas of your life. For the client, these often come as very positive and unexpected surprises. I will work in a way that will loosen the grip of your past ways or habits that do not support you in your Topic while we simultaneously create new ways of moving forward. In actively working with both the ‘past-based’ way of being and the ‘future-based’ desired outcomes unprecedented results are attained in very short periods of time. Coaching programs are customized for each client based on who you are, where you are, and what you wish to accomplish. The length of a coaching program varies, however for change to stick, typically a minimum of three months and an average of about 20-30 min. of practice “work” per day is necessary (often to some extent replacing other activities that do not support the change). All you need to start is an openness and desire to change and the willingness to do some work to achieve it. Life is short and you only live once, so why wait? 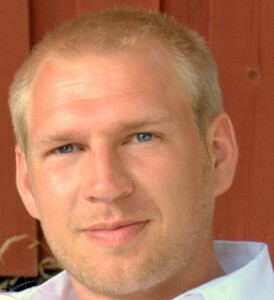 Staffan is a Certified Professional Integral CoachTM and Management Consultant. He has always been a “student of life” and it is this curiosity that led him to explore his passion for helping individuals, teams and organizations grow and transform. Formerly CEO of a leading internet technology company, he has developed a deep understanding of human nature and the dynamics between individuals, teams, systems, culture, organization and community. In addition to work, Staffan enjoys yoga, soccer, reading, music, spending time with loved ones, and nature. As always, if you have any questions, concerns, or comments, please do not hesitate to contact me. Previous post: Ministry of Silly Walks for Re-Training? Next post: How Does Your Garden Grow … and Your Body Feel?